Xenia 2018: A runaway success! 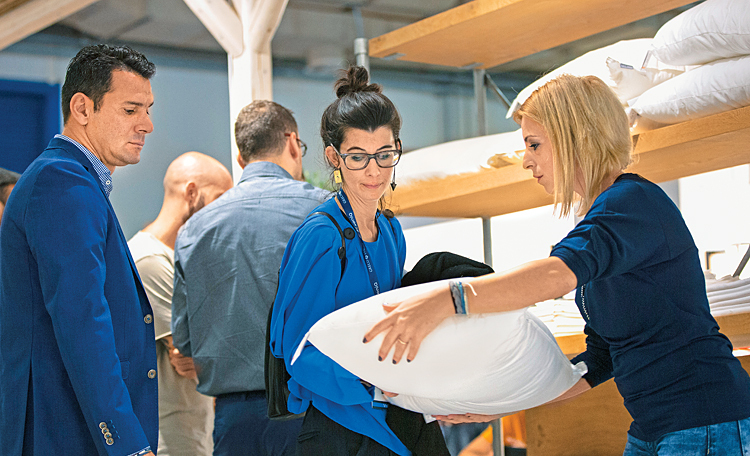 Featuring 550 exhibitors and 37,000 trade visitors from 20,500 businesses, Xenia 2018 consolidated its reputation as the unmistakable exhibition event for the Greek Tourism industry. Without any competition nor any precedent of similar glamour and influence, Xenia 2018 is leading the way and proving to be the only reliable exhibition event for the development of Tourism in Greece. 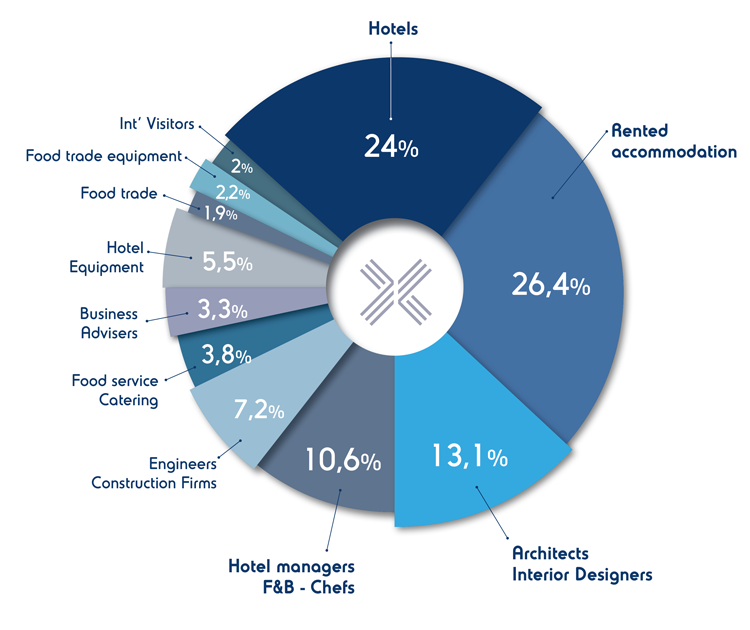 Featuring 550 significant exhibitors –the elite of the supply and construction market– and 37,000 quality trade visitors, whose investment options determine the overall orientation of the Greek Tourism Industry, Xenia 2018 consolidated its premium nature by gathering the most dynamic and quality mix of exhibitors, hoteliers and tourism agents in modern Greece! High level of satisfaction over the targeted trade visitors and the effectiveness of Xenia 2018! 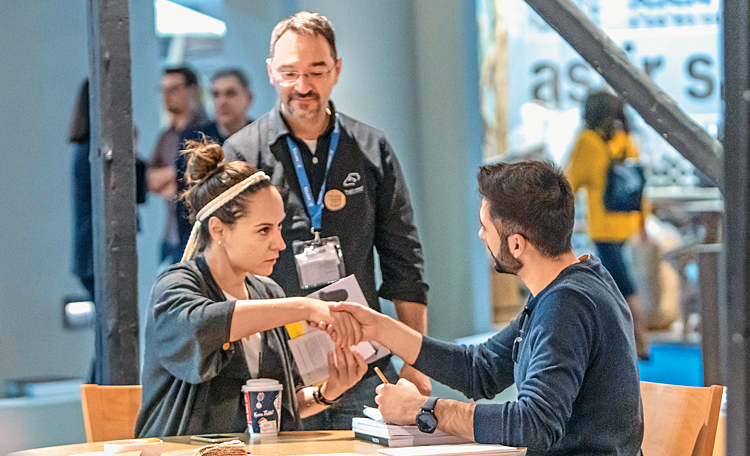 The vast majority of exhibitors expressed their satisfaction over the numbers, mix, and quality of trade visitors, declaring that Xenia 2018 far exceeded their commercial expectations! Exhibitors targeting small-scale accommodation as well as those looking for collaborations with high-capacity hotel units conveyed their delight over the number of significant, meaningful contacts they made during the three days of the trade show, including the clear commercial intentions of trade visitors. Exhibitors and visitors alike praised the premium nature of the fair, its focus on hotels and its specific dates, considering that this particular time frame (end of November) perfectly serves the inevitable extension of the tourism season. Specifically, many entrepreneurs spoke of the “right timing,” “substantial discussions and contacts,” as well as a “warranted relaunch” of the show. In addition, the high level of organization by FORUM SA drew positive comments and was compared to similar international exhibitions. Thousands of visitors turned out at the comprehensive special events program carried out during the course of the Xenia 2018 trade show, proving that sector professionals are hungry for information and innovation. Namely, the International Hospitality Forum organized by the HCH and carried out for the second consecutive year during the course of the Xenia trade show, was extremely successful. The Forum was focused on new technologies, investments and the all latest developments in the fields of Hospitality & the Tourism Industry. In addition, equally intriguing proved the Xenia Digi Hotel, the leading event for digital technologies and e-marketing in the hotel industry, which hosted daily presentations from leading Greek and international experts. Τhe main protagonist in the trade show’s special events was, however, the innovative Hotel Megatrends project, an impressive and specially-built structure of 445 square meters in Hall 1, which highlighted the latest trends in technology, interiors, architecture, construction, design, and sustainability.